The world-class windows created by NewSouth Window Solutions for homes in Orlando and Tampa are ideal products for any Florida home. We manufacture our windows in Florida, for Florida homes, and make them with the best materials on the market to ensure that they are of class-leading quality. Our vinyl window products are incredibly durable, with fusion-welded frames that will not warp, chip, crack, or rot like those of traditional wood-frame windows. In fact, we’re so confident in our home windows’ ability to stand the test of time that we offer a lifetime transferable warranty that will protect your windows indefinitely. In addition to their durability, the replacement windows we manufacture incorporate some of the most innovative features available, including our proprietary Sashlite™ technology, which allows our windows to open and close easily and with minimal effort. 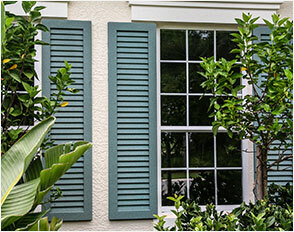 What’s more, our windows are extremely energy efficient, with several technologies designed to decrease the transfer of heat into or out of your home in Tampa or Orlando, FL. Combined, these features can help to keep your home’s internal temperature consistent and ease the strain placed on your climate control system. Over time, this will not only lead to a more comfortable indoor temperature, but may help you to decrease your monthly energy costs. To learn more about the windows and window installation services we provide for homes in Tampa and Orlando, FL, contact NewSouth Window Solutions today.